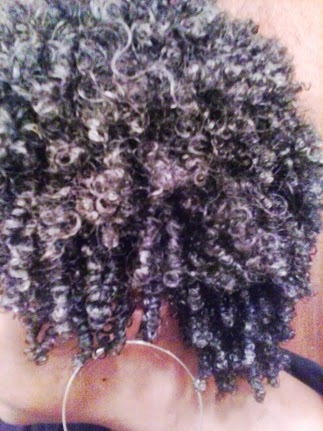 Loving Dee Naturally : Flaxseed gel revisited - My final thoughts ""
I truly enjoy experimenting with my hair. I especially love trying new products on my hair. I am not, by any means, a product junkie(at least I don't think I am). I gravitate more towards mixing up concoctions and trying them on my hair rather than going to the store and buying a ready-made "product". More times than not I'd rather go to the store and buy ingredients to 'make' a product and try it on my hair. Does that make me a different "kind" of product junkie??? Anywho, as you may(or may not) know by now I've just revisited making and using homemade flaxseed gel. I blogged about my process and my results here. This experiment has taught me a rather good lesson and that is this: Never say never. 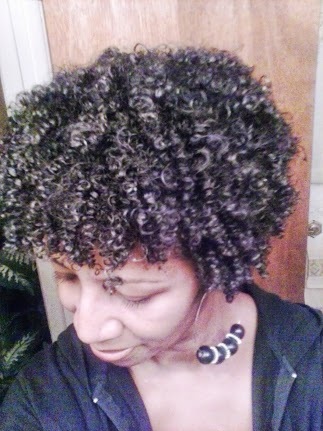 You see I had tried flaxseed gel about a year ago and it didn't work for me (or so I thought). Now that my hair is longer it seems as if it works for me now. So in your natural hair journey just keep in mind that what may not work for you right now may work later. I don't know why this gel works for me now. It could be that I made the gel slightly different than I did in the past and/or it could be that I applied it differently(I had less water in my hair this time) and/or it could also be that my hair is in different(BETTER) condition than it was before so now my hair is able to readily absorb certain products now that it was not able to before. Whatever the case, I'm so glad that I followed my heart on this and followed what seemed like a "whim". Trying flaxseed gel again was NOT even in my mind of things to do to/for my hair. I was done with flaxseed gel, in my own mind. 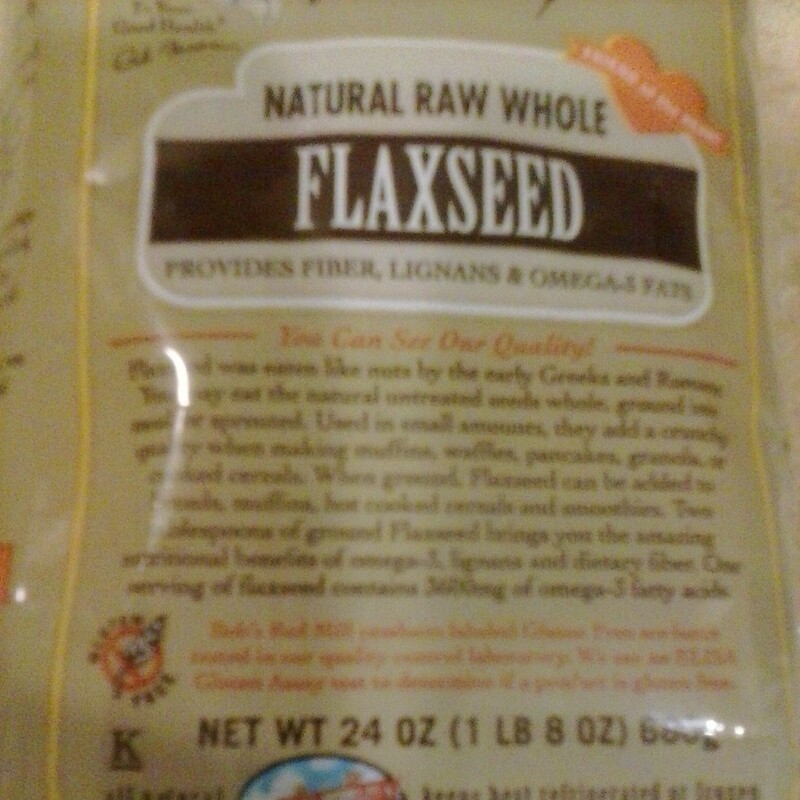 Since it seems that flaxseed gel will probably be more of a staple in my haircare I was slightly concerned as to where I could get flaxseed for a decent price. Well, lo and behold, I found some at my local grocery store where I shop regularly at a great price. I got 24 oz for $3.99. I thought that was an excellent price. The one bag I did have was about 1/2cup of flaxseeds, which is about 4 oz. for $1.00. coupled with softness and bounciness and shine!!! My hair also seemed to not have as much shrinkage so my curls seemed to hang longer and looser. I really was so pleasantly surprised that my hair felt this good. I was also feeling good b/c this is something that is 100% natural and my hair seems to love it. It feels so good to discover something that gives great results and is beneficial to your health at the same time. It also very satisfying to be able to make something 100% healthy with my own hands(if you are so inclined) and not be dependent on a "store-bought' product....nothing wrong with store-bought products per se but when you become dependent on that product you are at the mercy of the manufacturer to put in whatever they want to whether it's good for you/your hair or not. That is just my own personal pet-peeve. I'm not knocking store-bought products and I'm not knocking anyone who buys them. I've just decided to begin to move myself away from being so dependent on them and to make a move toward all natural products, if I can....just a health conscious choice I'm making. So, if you decide to try your hand at making your own flaxseed gel(fsg) then please let me know. I'd love to hear how it worked for you and/or to answer any questions you may have.